Things came to a crunch this week with some very over due Bee blocks that could no longer be ignored, no matter how hard I tried. 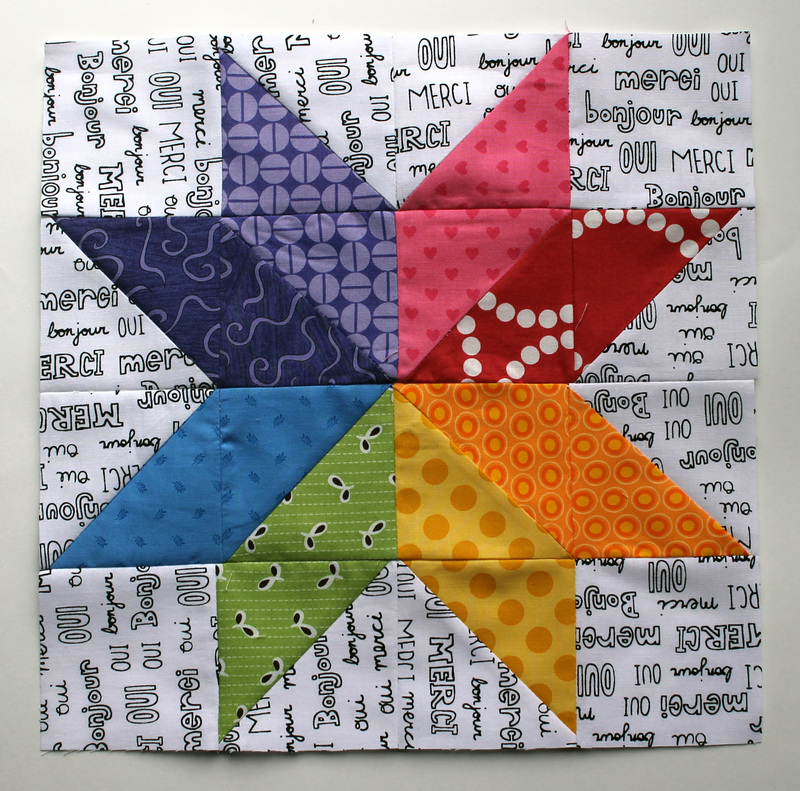 This block is 12 1/2 inches square and was requested as part of the ScrapBeelicious Bee. 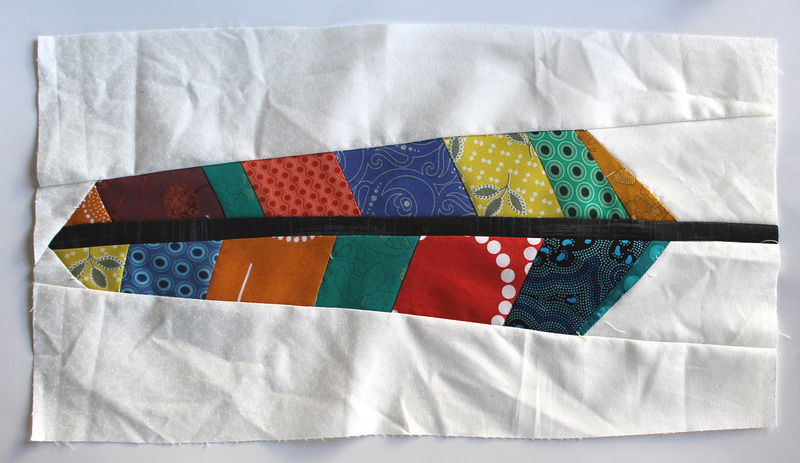 When I first looked at the pattern I was a little overwhelmed, but I cut the squares as I was cutting fabric for another quilt and chain piecing made the process less daunting. The pattern, Star Value by Happy Quilting, is perfect for a Bee, because you do not want to be making a whole quilt of these suckers. 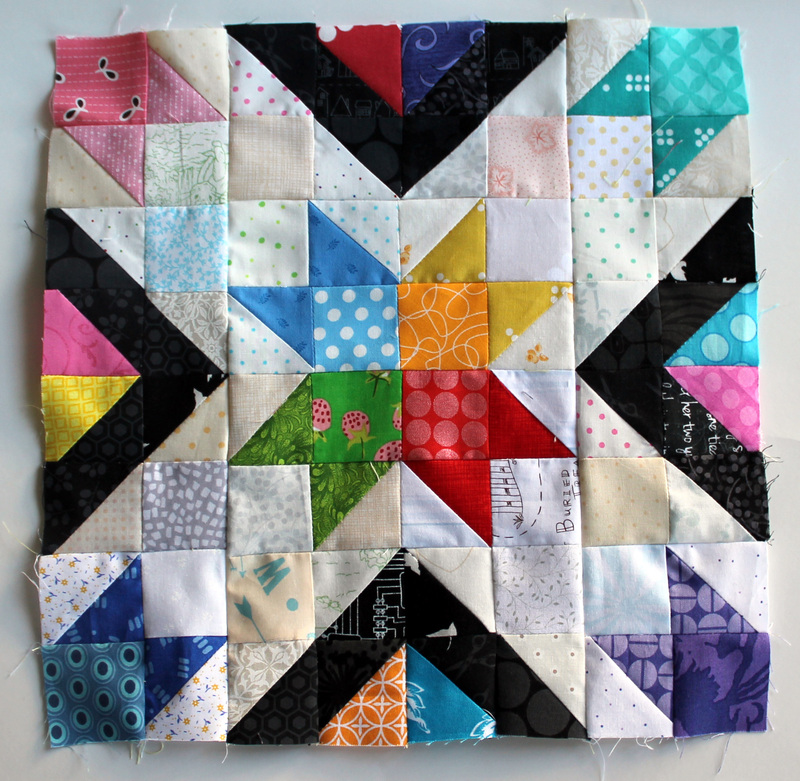 The free tutorial also has the calculations to make the block in different sizes from 12 inches up to 28 inches. For some reason these were the blocks I had to unpick the most. The center grey spine of the feather was too short and I struggled with getting the pattern pieces to align. 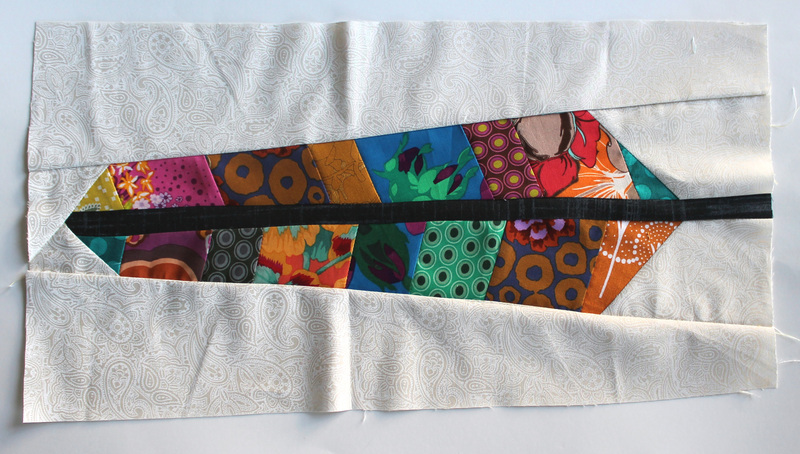 In the end I just wanted to make a paper piecing pattern to make this sucker… it would have been so much easier! The last lot of Bee blocks for this week were a simple and fun…. My February do.Good.Stitches Block was the Starflower block by Ellison Lane. 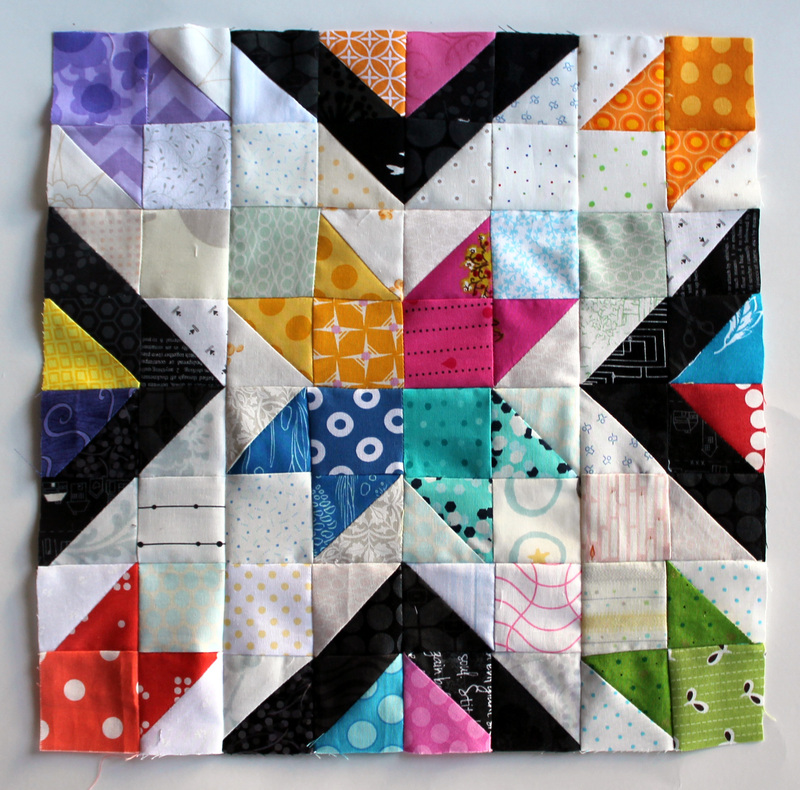 This block was so easy and the pattern makes two blocks at a time… genius! So I have now done my quota of half square triangles (HST) for the month. For the rest of the month I am only tackling those suckers via paper piecing.